At Silverback Mechanical Services Ltd, our highly qualified technicians are here to provide exceptional service in a timely manner. 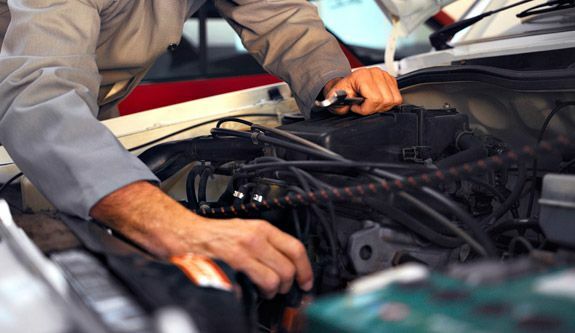 From oil changes to transmission replacements, we are dedicated to maintaining top tier customer service. After spending many years as a technician on the floor, the owner of Silverback Mechanical Services Ltd. discovered a strong interest in management. In 2008, Dan decided that he wanted to run his own mechanic shop, so Silverback Mechanical Services Ltd came into being. Silverback Mechanical Services Ltd. has grown from a small owner/operator business into a new facility equipped with two 100’ drive-through bays, one 100’ drive-in bay and a 10-ton overhead crane. Dan’s plans for the future include the same level of quality service Silverback Mechanical Services Ltd. offers now, along with top-quality workmanship and doing the best job possible for the customer. Dan intends to stay available by phone 24/7 for those who may need service, and he is focusing on keeping up with new technology. It’s important to Dan that his technicians not push a customer into buying services they don’t need – he is determined to run an honest shop. At Silverback Mechanical Services Ltd., the goal is to get the customer’s equipment working smoothly and back on the road quickly. That’s why Silverback Mechanical Services Ltd. guarantees its workmanship, ensuring that the job is done right the first time and going beyond basic requirements.